You may have noticed them. 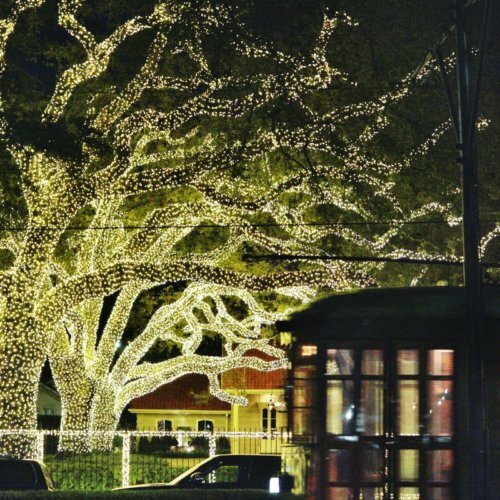 They recently started popping up all around the city. Even more are expected to show up as the weeks progress. This is not the beginning of a sci-fi thriller. 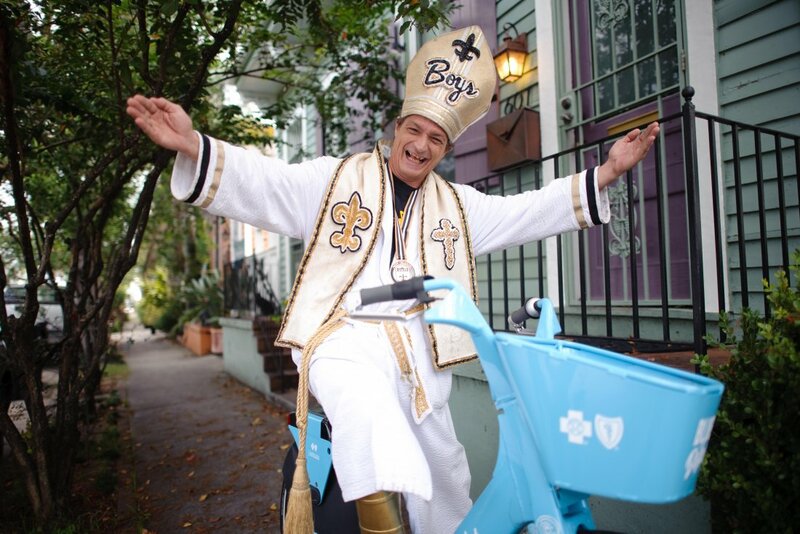 It’s the long-awaited arrival of bike share in twenty-first century New Orleans, y’all. 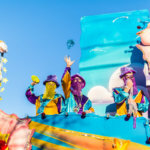 Blue Bikes launched on December 5 with a partnership between the City of New Orleans, Social Bikes, and sponsor Blue Cross and Blue Shield of Louisiana. Thanks to these folks, biking is now more accessible to both residents and tourists. 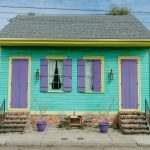 New Orleans is an ideal biking city due to its flat terrain and easy-to-navigate street grid. With the ever-expanding bicycle scene, the demand for the service is high. Since 2005, bikeways have increased exponentially – from eleven miles to 115 miles by 2017. New infrastructure is one piece of the puzzle. According to the American Community Survey, New Orleans has the 10th highest percentage of people biking to work. It was in this landscape that Blue Bikes emerged, adding another dimension to bike travel in the city. 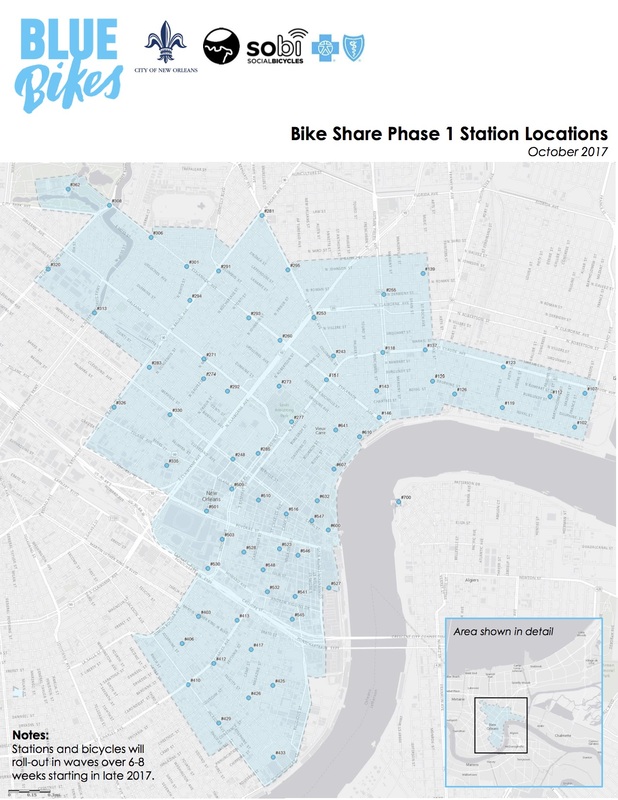 Blue Bikes stations, easily recognizable by their blue color, are located across the city, from the Lower Garden District to Mid-City to the Bywater. There are more set to roll out in the coming weeks. To start riding, register on the Blue Bikes website (fees apply), at a Blue Bikes kiosk, or on the Social Bicycles mobile app. The app allows users to reserve bikes and find stations, as well as track trip history and miles ridden. It can also be used for Social Bikes-managed bike share systems in other cities. Once registered, you can pick up a Blue Bike at your nearest station. Blue Bikes are tech-savvy bikes equipped with GPS tracking, safety features such as automatic front and rear lights, a “u-bar” lock, and a basket to store up to twenty pounds. Before hopping onto your new, temporary ride, you will need to key in your account information and pin number on the bike’s keypad. This system controls the bike’s “u-bar” lock and will automatically unlock at this point. Adjust the seat, and then off you go. Blue Bikes offers both hourly pricing as well as monthly memberships. Riding without a membership runs $8/hour and is prorated to the minute. 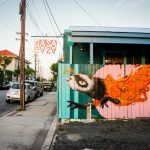 Monthly memberships cost $15 and include up to one hour of riding per day, perfect for a ride down the Lafitte Greenway, errands, or biking to work. 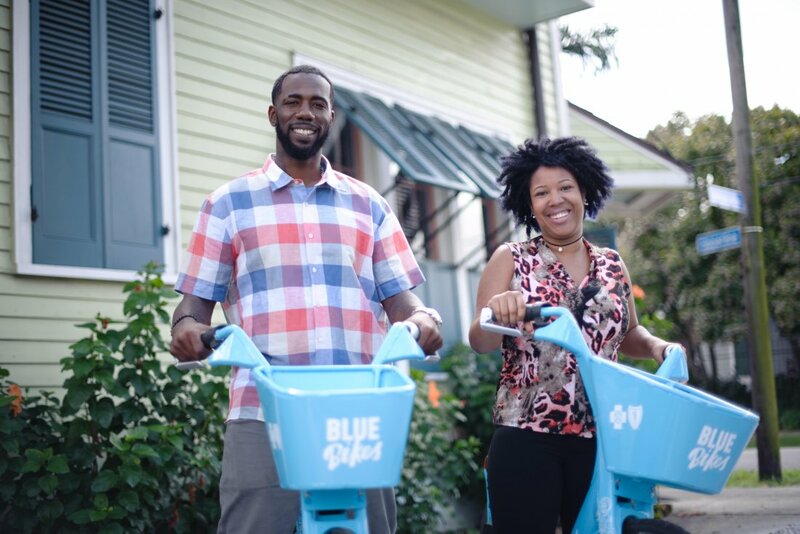 Blue Bikes is currently offering a founding member special, with the first month’s membership discounted to just $2 (use code “BlueBikes504”). 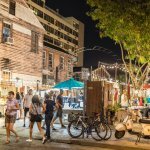 Blue Bikes also offers a discounted $20 annual membership for those who qualify based on income. Need a new helmet? We got you covered all around. Blue Bikes members receive 30% off of helmets from Bern. For more information about using Blue Bikes, check out the demonstration video. Enjoy the ride!